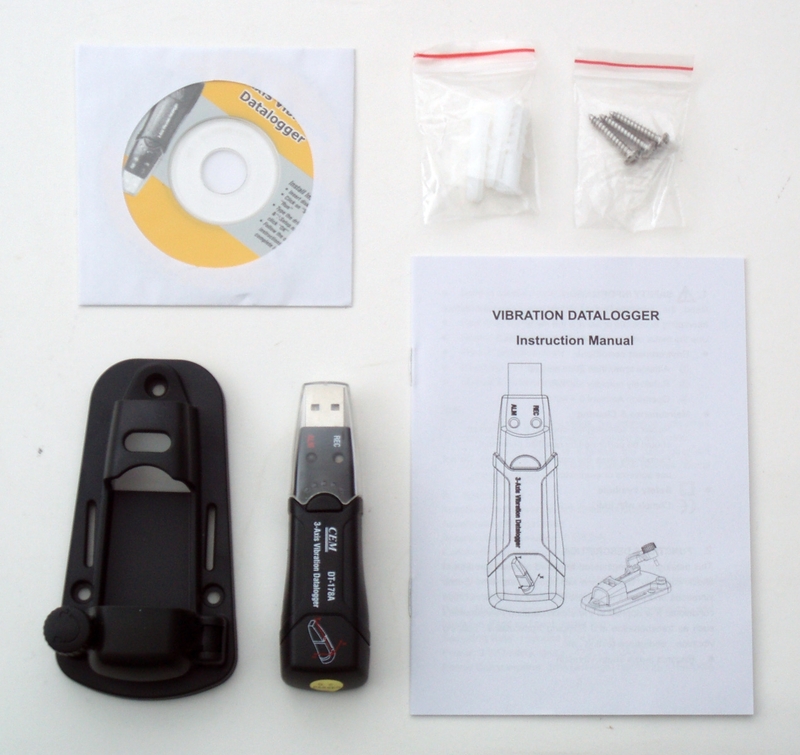 This is a brand new DT-178A 3-axis vibration datalogger from Ruby Electronics. 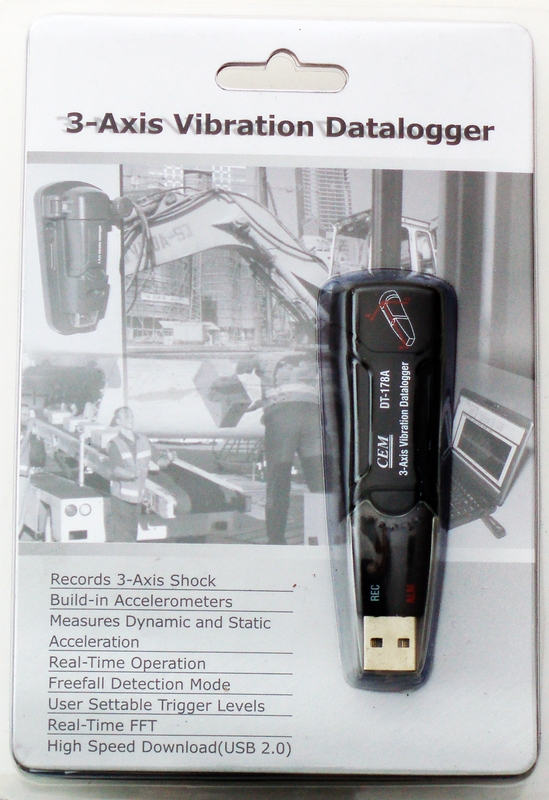 This device records shocks and vibration on all three axis (X, Y, Z). The data are stores in the built-in 4 Mb flash memory for up loading to a computer at a later time. 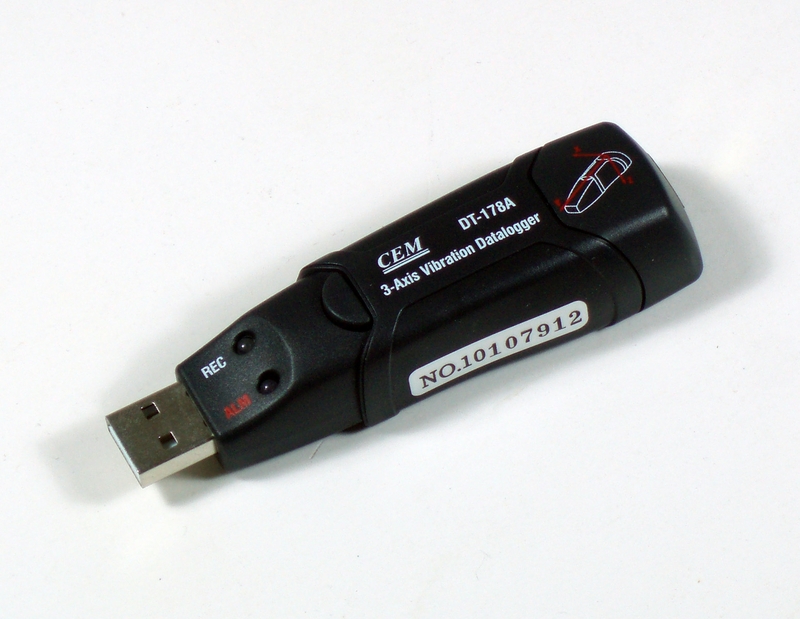 This device uses USB interface to ensure compatibility with your Windows PC. 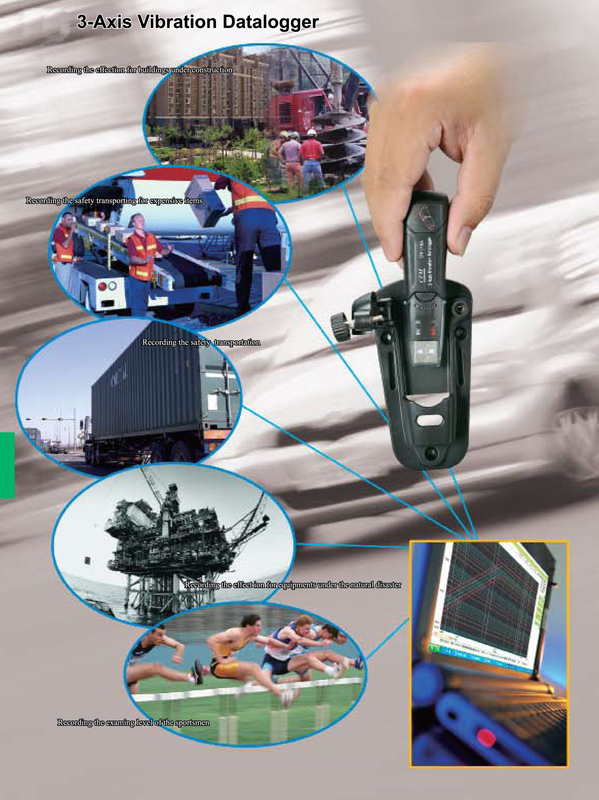 DT-178A is engineered to record acceleration data of vibration. It records and time 3-axis vibrations with peaks to provide a history of shock and vibration conditions. I also records the time when freefall happens. It measures and computes real-time spectral data using an FFT (Fast Fourier Transform) from 0 to 60 Hz. 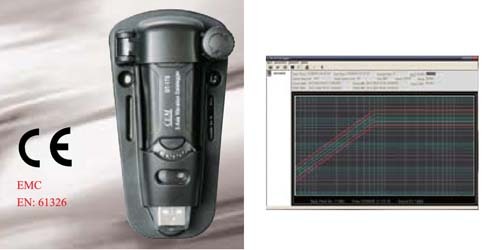 This device is compact and portable. 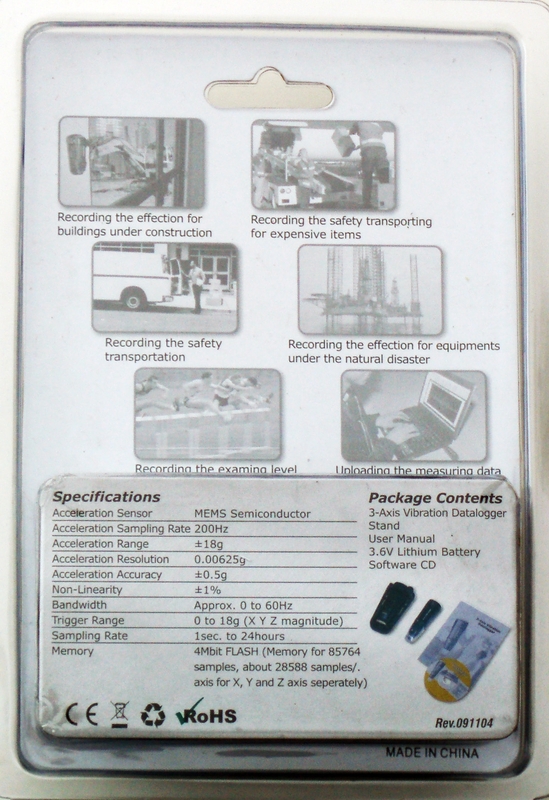 It comes with Windows software and battery.